NASA rang in the New Year on Tuesday with a historic flyby of the farthest, and quite possibly the oldest, cosmic body ever explored by humankind—a tiny, distant world called Ultima Thule—in the hopes of learning more about how planets took shape. A series of anxiously awaited "phone home" signals arrived after 10:30 am (1530 GMT), indicating that the spacecraft had made it, intact, through the risky, high-speed encounter. "We have a healthy spacecraft," said mission operations manager Alice Bowman, as cheers erupted in the control rooms at Johns Hopkins Applied Physics Laboratory in Maryland. About 10 hours earlier, NASA celebrated the New Year's flyby, as mission managers—alongside kids dressed in space costumes—blew party horns to mark the moment at 12:33 am (0533 GMT) when the New Horizons spacecraft aimed its cameras at the space rock four billion miles (6.4 billion kilometers) away in a dark and frigid region of space known as the Kuiper Belt. More images and data will start arriving later Tuesday, offering scientists the first up-close look at an ancient building block of planets, Bowman said. The flyby took place about a billion miles beyond Pluto, which was until now the most faraway world ever visited up close by a spacecraft. Hurtling through space at a speed of 32,000 miles per hour, the spacecraft made its closest approach within 2,200 miles of the surface of Ultima Thule. "This is a night none of us are going to forget," said Queen guitarist Brian May—who also holds an advanced degree in astrophysics—and who recorded a solo track to honor the spacecraft and its spirit of exploration. 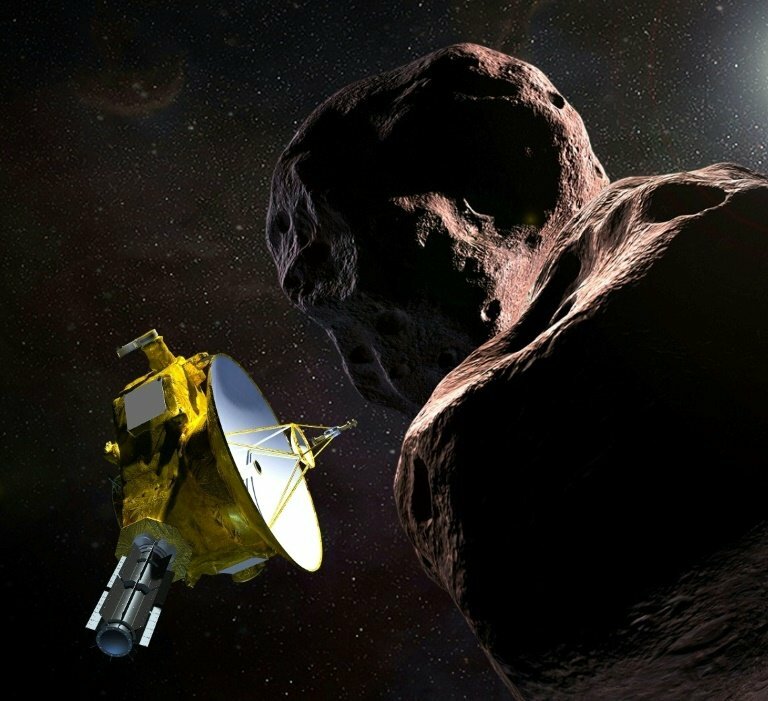 Lead planetary scientist for New Horizons, Alan Stern, said Ultima Thule is unique because it is a relic from the early days of the solar system and could provide answers about the origins of other planets.